Fosamax Reclast side effects. These two bisphonsophonate drugs have been associated with atrial fibrillation, a serious cardiac condition. Also articles in New England Journal of Medicine suggest a possible link between these two drugs and irregular heart rhythms in women. There appears to be 50 percent more risk of the serious heart rhythm problem in women who took the daily dosage of Fosamax. Fosamax, manufactured by Merck & Co., has been on the market for years. It is usually taken in pill form on a daily or weekly basis. Reclast is a drug made by Novartis AG. It is given once a year through an intravenous infusion that last 15 minutes. Researchers expressed some surprise at the association of the drugs with heart arrhythmia. Most said that the risk is small. But the safety issue is of some concern since atrial fibrillation can cause a stroke. Dr. Steven Cummings of California Pacific Medical Center Research Institute was involved in studies of both Reclast and Fosamx and he said: . "For the first time, there may be a side effect," Until now, people have assumed Fosamax "was completely safe and could be given to almost anybody." 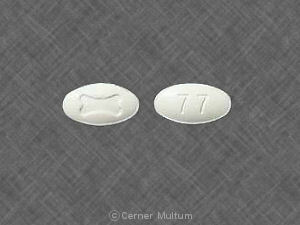 Still this drugs is often prescribed by physicians for post menopausal women who have developed Osteoporosis. If your health care provider has prescribed either of these drugs as a way to help you to reverse your bone loss, do speak with him/her about these potential side effects. There may be some over riding reason why s/he things you need to take this particular prescription to treat your Osteoporosis. But do not be shy about asking. Irregular heart beat, stroke, Osteonecrosis are serious things. This is one case where you need to be your own advocate. Yes, you need to treat Osteoporosis if you have it. But you do not want side effects to create additional health issues. Remember there are many ways to treat Osteoporosis. First you need to take time and figure out all the reasons why you have this condition. Often it is not just a case of being post menopausal. Do read the Causes of bone loss page, and make not of ALL causes that apply to you. Then go to the Natural treatments page and see what things address your specific causes. Even if you do take a medication for the condition, you can still help yourself by incorporating some of the natural remedies into your daily life. End of section about Fosamax Reclast side effects.